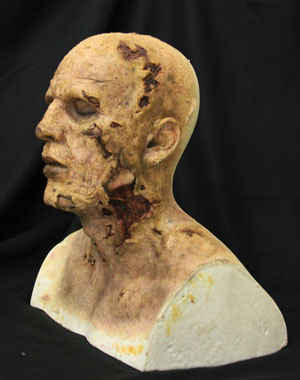 Tim Gore is an extremely talented artist with over 25 years experience in the film special effects industry. 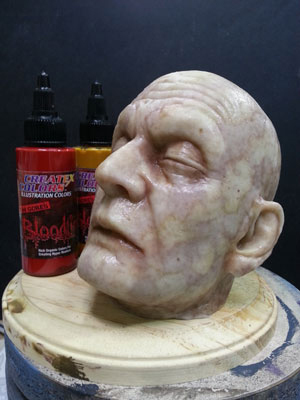 Bloodline™ is a line of airbrush colours specifically created by Tim Gore with colours designed for the subtleties of painting everything from "hyper real" creatures, humanoids and monsters, latex masks, resin kits and anything your imagination can come up with. 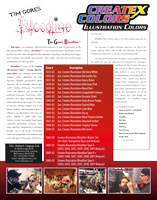 Lifeline Colors are a new addition to the Bloodline Range by Tim Bloodline™ and are part of the Illustration Colors™ line. Createx Illustration Colors™ are a refined, water-based airbrush colours optimized for true fine-line, detailed performance while allowing for re-wettable effects and subtle erasing techniques. As the name implies, Illustration Colors™ are designed with the illustrator and fine artist in mind without catering to the demand for high coverage base colours. Illustration Colors™ are lightfast. We use the same exterior-grade pigments we use to make our Wicked Colors™ and Auto-Air Colors™. The difference is in the resin. Unlike Wicked Colors™ and Auto-Air Colors™ which air dry to a cured, non-soluble coating, Illustration Colors™ are re-wettable with an amine such as Windex™. This is one of the key characteristics behind the creation of our Illustration Colors™. Another key characteristic this resin offers is soft erasing. Unlike our Wicked Colors™ which erase hard, Illustration Colors™ are very easy to erase within the first 48 hours after application. After 48 hours, Illustration Colors™ harden making erasing more difficult and similar to how our Wicked Colors™ erase. Unlike Wicked Colors™, Wicked Detail Colors™ and Auto-Air Colors™ which are intended for application with a spray gun direct from the bottle, Illustration Colors™ are intended solely for application with an airbrush and are not designed to cover as a base colour. Reducer and Transparent Base are offered in the Createx Illustration Line to provide artists the option to further adjust viscosity and transparency based upon their subjective preferences. However, most artists will find the Illustration Line to be excellent straight out of the bottle with little need for adjustment. No reduction is necessary. Illustration Colors™ atomize and spray excellent through small airbrush tip sizes down to 0.15mm at low psi settings direct from the bottle. Delayed cross-linking. This characteristic makes Createx Illustration Colors™ unique among all other airbrush paints, because it gives the artist the option to manipulate the paint to different degrees as it "cures" over time. When first applied, the paint is easy to alter with an eraser or other paint removal tool, and as time passes, the paint gradually becomes more resilient, offering a tremendous variety of effects to the artist. Illustration Colors™ may be top-coated with a urethane clear. Createx Illustration Colors™ work excellent as custom, automotive candy colours with an airbrush; however, they are not designed for use with a spray gun as the extreme low viscosity will not allow for a proper spray pattern. 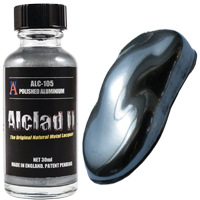 We recommend that you thin your paint to suit your airbrush nozzle, especially for finer nozzles. As a guide, thin paints to a milky consistency. If you have a query whether a particular paint is suitable for a particular airbrush, please contact us.